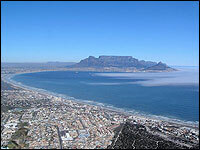 The stunning, world famous view that can only to be seen from the long, white sandy beaches of Blaauwberg. 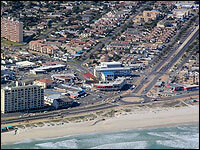 Bloubergrant, Blouberg Rise, Blouberg Sands, Bloubergstrand, Milnerton, Milnerton Ridge, Tygerhof, Sanddrift, Cambridge Estate, Woodbridge Island, Sunset Beach, Sunset Beach, Atlantic Beach Golf Estate, Royal Ascot, Table View, Parklands, Sunningdale, Flamingo Vlei, Sunridge, West Riding, Bloubergrant, Blouberg Rise, Blouberg Sands, West Beach, Bloubergstrand, Melkbosstrand, Duynefontein, Van Riebeeckstrand, Atlantis and Mamre. Click here to view detailed, interactive street maps of the Blaauwberg area and suburbs mentioned above. Blouberg, a town on the West Coast of South Africa, only 18 km from the centre of Cape Town and the Waterfront, is well known for its beautiful, natural white beaches and forever spectacular views of Table Mountain, the city of Cape Town at the foot of the mountain, the Waterfront and Robben Island. Cape Town has become one of the best tourist attractions of South Africa and with that also brought interest to the Cape Town Property portfolio. The Blaauwberg area consisting of Bloubergstrand, Bloubergrant, Bloubergrise, Bloubergsands, West Beach, Table View, Flamingovlei, Sunningdale and Parklands, is still the fastest growing area in South Africa for property investment. The Blaauwberg Municipal area is still expanding with new and exhilarating developments and thus more and more investment properties are for sale. An unusual diverse property market exists here which caters for all needs and affordability from Millionaires to First Time Homeowners. Facilities and amenities include modern and stylish shopping centres, a wonderful selection of excellent restaurants and a vibrant nightlife for all ages as well as various sport facilities including a 18 hole golf course on an island, one of only 3 in the world. 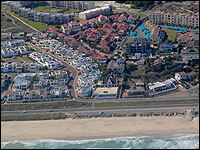 Quality of life is emphasised in Blaauwberg by many ‘Fun in the Sun’ venues along the beachfront. Big Bay is a world famous beach for wind surfing, while Rietvlei offers some wonderful water sport facilities as well as a bird sanctuary, while the paved Beachfront Promenade attracts daily walkers. Killarney, the only Motorcar Racing Track in the Western Cape is also found here. Sunset Beach, a small suburb with its majestic homes, lies between Blouberg and Cape Town with the most spectacular views of Table Mountain, Cape Town, Robben Island and white beaches. Sunset Links, an extension of Sunset Beach, is a popular Golf Estate where most beautiful executive homes are found in a security complex on the beach front. Seeff Residential Properties Blaauwberg, an estate agency operating in the Blaauwberg area offers property to buy or sell to all potential property owners or to investors. Holiday accommodation and also rentals in both the residential and commercial market is also offered. 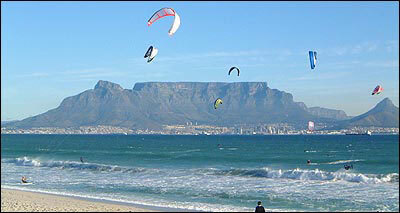 Annually, especially during the summer season, many windsurfers from all over the world visit Blaauwberg and especially Big Bay, for surfing. The rental of furnished holiday accommodation is thus a sought after commodity throughout the year. 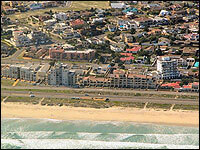 Looking for property to buy or rent in Blaauwberg or wanting to sell property in Blaauwberg?